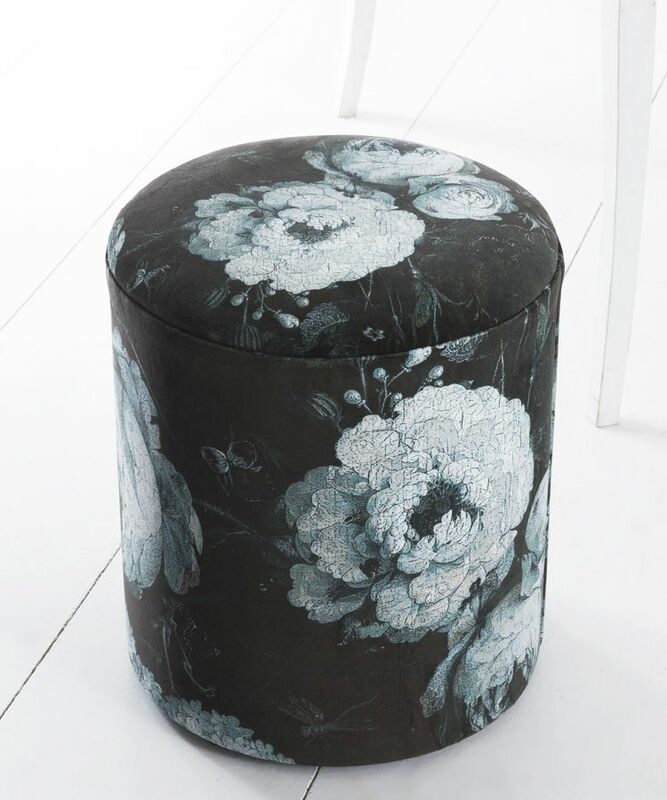 Our exclusive range of made-to-order upholstery, includes our Boho & Co Floralism Moonlit velvet drumstool a pretty statement piece which makes a great dressing table stool. 45 high x 40 cm diameter. Please select your choice of design from the drop-down menu below.